Why would I need self storage in Miramar, FL? There are a variety of reasons why you might need self-storage in Miramar, FL. How much is a storage unit in Miramar, FL? The cheapest storage unit in Miramar, FL is $47.00 per month. What size storage units do you have available in Miramar, FL? In Miramar, FL we have sizes that range from 5'x5' to 10'x30' to suit your storage needs. How much is it for a 5'x5' storage unit in Miramar, FL? The cheapest 5'x5' storage unit in Miramar, FL is $48.00 per month. Miramar is a large city in the Miami metropolitan area and has expanded to become one of the largest cities in Florida's Broward County. With numerous neighborhood parks and community activities to enjoy, it has become a popular residential destination, especially for families. When the city of Miramar was incorporated in 1955, it had fewer than 200 residents on less than 3 square miles of land. The area was developed to serve as a bedroom community for nearby Fort Lauderdale and Miami. Unlike many young cities, however, Miramar wasn't constructed at a major crossroads, or even on a busy thoroughfare. The city popped up along U.S. 441, which was simply a two-lane road at the time of its founding. One of the major focuses of the founders of Miramar was the concept of slow, careful development, and that remains a trend in the city today. A large portion of land in the city is still undeveloped, providing plenty of space for new residential, commercial and industrial growth. Miramar's economy is supported by a diverse collection of businesses and organizations, which help provide a wide variety of local jobs. A handful of companies are headquartered in the city, including Spirit Airlines, JL Audio and Arise Virtual Solutions. The Leadership in Energy and Environment Design facility houses a Miami field office for the FBI, as well as a General Services Administration office. The largest employers in Miramar span a number of industries. Major employers include Comcast, Strayer University, Royal Caribbean Cruises and Memorial Hospital Miramar. Public school students in Miramar attend Broward County Public Schools. There are also several private schools in the city. If you're considering pursuing higher education, Miramar offers trade schools as well as a handful of college and university campuses. Utilities: The city utilities department provides major utility services throughout Miramar. Garbage and Recycling: For your trash and recycling, you'll receive city-provided disposal bins that are used for regular curbside collection. If you live in a multi-family community, you may utilize a dumpster system instead. Transportation: Several community bus routes provide public transit throughout the city. As the city grows, home prices are rising. You can find a mix of new construction and homes from different decades, encompassing a variety of styles. There are also apartments, town houses and single-family homes for rent, if you aren't interested in purchasing a property. 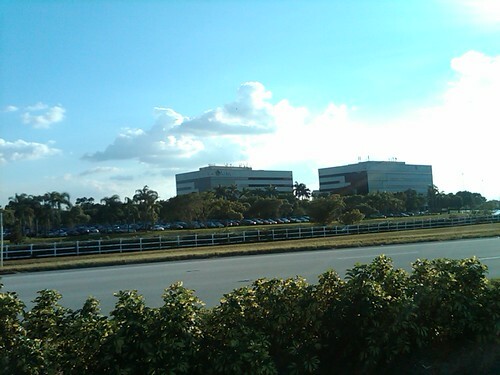 Our lowest priced units in Miramar, FL average $55.40 per month. 386 people have reserved units in Miramar, FL in the past 30 days. There are 5 locations within Miramar, FL's city limits. There are 5 locations in Miramar, FL that offer AC and Heating features.